And I’m not only feeling sentimental about the change of seasons but also about how the years are flying by and one of my professional “babies” is now in its fourth year. 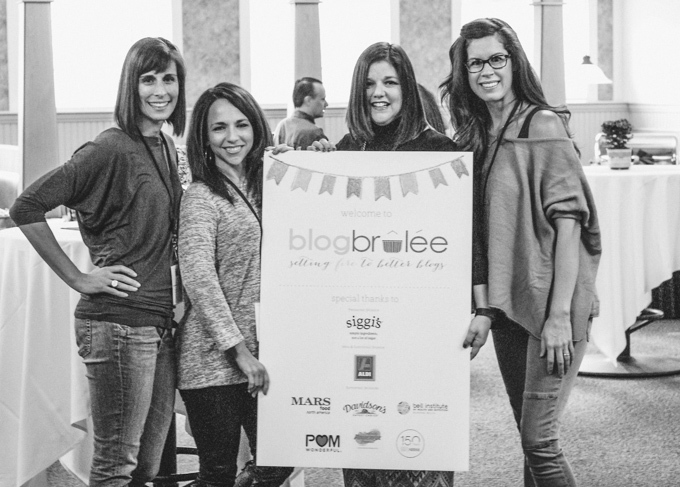 I co-founded Blog Brûlée with fellow dietitian entrepreneurs with Regan (Healthy Aperture), Robin (Robinsbite) and Gretchen (kumquat) – an educational weekend for skill building and professional development among a small number of healthy food bloggers and dietitian bloggers. We started brainstorming about creating such an event back in 2013 (I think it took us 6 months to even come up with a name.) And now here we are about to hold our first ever Masters event, with a deeper dive into business, social media and blogging skills with Blog Brûlée alumni as the attendees. 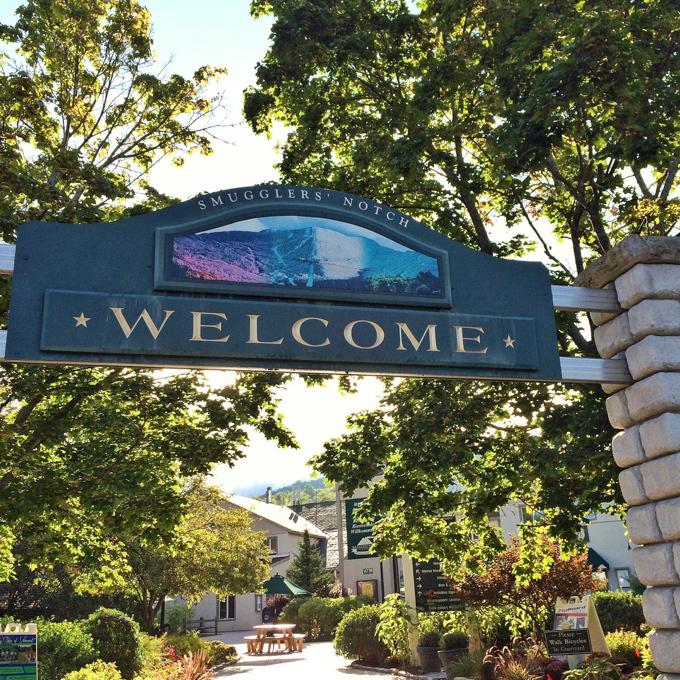 And because if it ain’t broke, don’t fix it, we are once again returning to Smugglers’ Notch Resort in Vermont where we’ve always experienced top-notch hospitality from their incredible staff lead by Peter Brown, their talented food service director. In post-event surveys, the food that has come out of Peter’s kitchens has continually received 5-star reviews from our attendees. 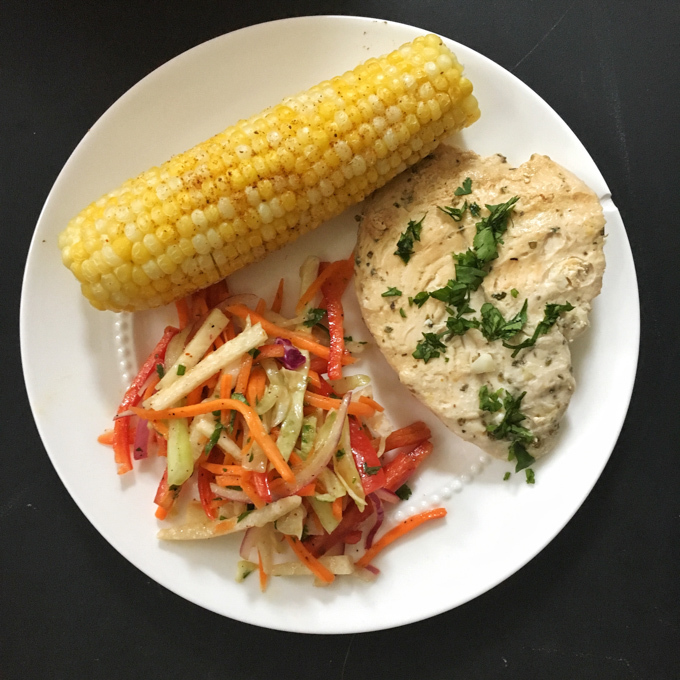 This jicama slaw is one of Peter’s recipes and has been a staple served at our lunches at Blog Brûlée over the years, accompanied by barbecue chicken, biscuits with maple butter and s’mores by the outdoor fire pit. It’s also excellent when served with fish, seafood, pork, rice and beans – the list goes on! And while it’s perfect for grilling season, it’s also great for the colder months when you are longing for some bright colors and a taste of summer. 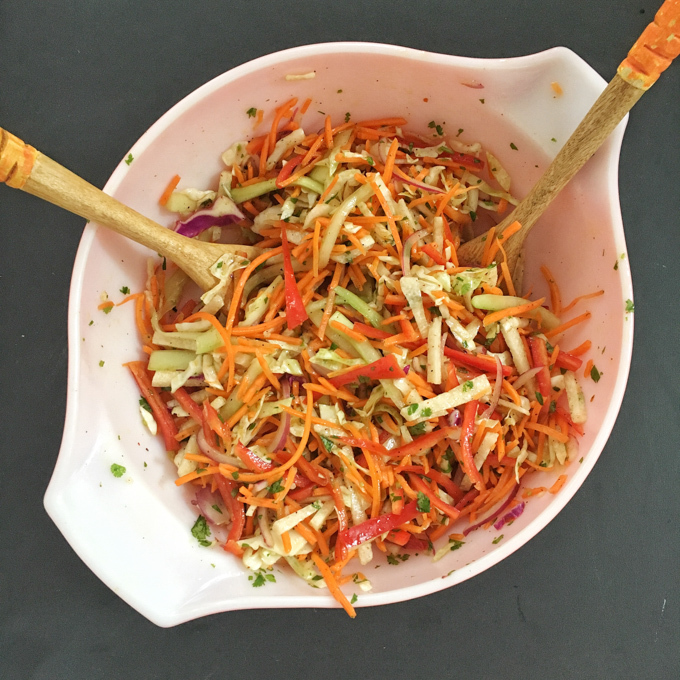 This refreshing slaw features jicama, carrots, cabbage, cucumbers and bell peppers – a delicious and nutritious side dish for almost any meal. In a large bowl, add jicama through cilantro. Toss together and then set aside. In a medium bowl, add remaining ingredients and whisk together well. Let sit in refrigerator for at least 4 hours or overnight if possible. 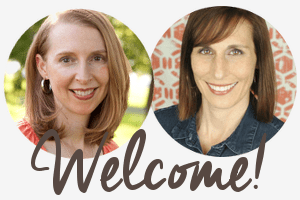 I also want to give a shout out to this year’s Blog Brûlée Masters sponsors who are THE reason we’ve been able to get to a Year 4 with this event. 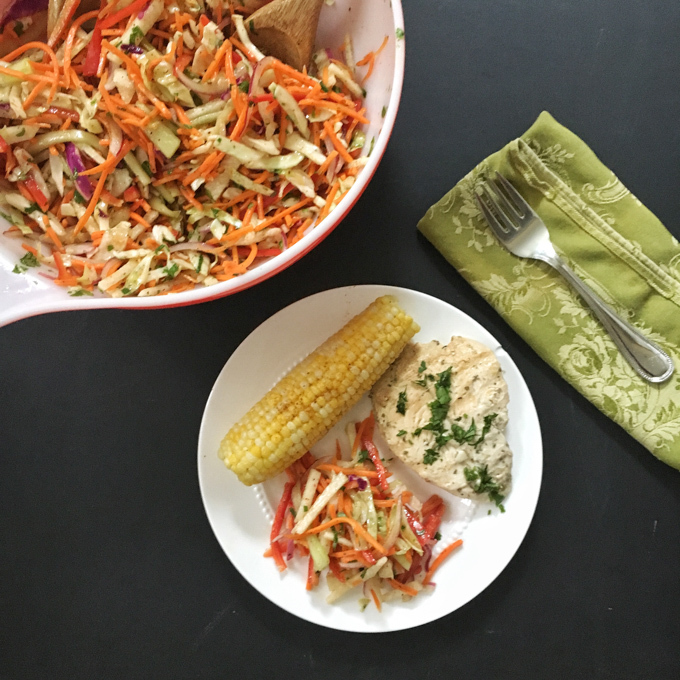 Thank you for sharing this jicama slaw recipe. I am badly craving for one last night but can’t go out. We enjoyed it a lot. It was perfect with seafood. So amazing. Yes – would be delicious with seafood!